I just realized, after reading the journals of others (especially the newly returned and modded Selski- three cheers!) that I have a pretty exhaustive record of my own dreams, which are often somewhat novel. I might as well start sharing some now! I generally have very vivid dreams that tell coherent narratives, and which I make a point to retell to myself upon waking. This step is crucial, because it solidifies the memory of the experience. This is also a common technique to perform after projection experiences as well. I think the theory is that the sorts of memories formed when we are outside the waking state tend to get discarded by our brains, but the retelling of the account once awake can serve to then transform it into a waking memory. Most of the projection experiences I have tend to be launched from lucid dreams as well... this seems to fit my lifestyle best; but this journal will be strictly for the experiences which are closer to classical dreams. I don't recall the beginning of the dream sequence, but I recall everything from about the 1/3 point onward. I find myself in what feels like an office building (with fairly generous amounts of walking space, and some large open areas on each floor). There are around 40 other people there, all gathered for an impromptu meeting. There is a lot of tension in the air. The people gathered here (including myself) don't feel like the natural inhabitants of this office building. It feels like we all came to be here in an attempt to hide from something. There is one speaker, and he has the air of a person with advanced knowledge of the situation, more than the rest of us had. He explains that if we take on the appearance of the building's normal inhabitants, and appear to be doing tasks appropriate for the setting, we will be safe. It is sort of implied that there are people watching from outside. The impression I get is that they are armed with long-range rifles and have some means of seeing into the building. 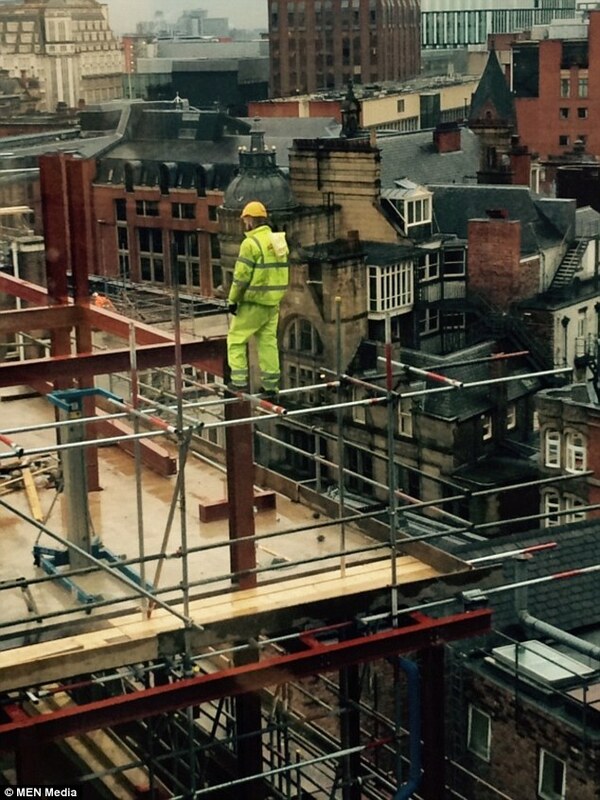 They aren't only watching this building, but they are particularly vigilant, and will eventually notice when something doesn't look right. We waste no time in taking positions, and getting into the rhythm of feigning being active at mundane office tasks. The easiest way to do this is to sit at a computer console and tinker with things on the screen. I casually glance around at many others with the same thought, sort of reflecting on how their docile demeanor while tooling around aimlessly at the computers is so comically different from the mental states they must be experiencing. After a bit of this, I sort of grow bored of it, and decide to walk off to see what other simulated office tasks I can take part in. I walk down an open stairwell to the level below, and I pass a person midway down who is curled up into a ball asleep in a small niche in a wall. I immediately think about how this person is failing at the game pretty hard. I don't stop and stare at them (since that would be out of the ordinary, and it would draw attention to the anomaly), but I start asking myself questions. Can they see that person like that from outside? Are they ruining it for everyone? If they are in fact perfectly hidden, did they just manage to opt out of it all, but in a way that will impact no one? Does this mean I could also sleep in that same stairwell later, because it must be perfectly concealed? The floor below is much like the one above, but with less computers. This floor is fairly dimly lit. There are a few people standing at consoles, doing the same routine as before... a few others having a quiet conversation in a far off corner. I stand at a workspace, and begin slicing stacks of paper with a hand cropping tool. I start thinking about how long the game will work. Will the watchers kill only those who step out of line? Will they attack everyone after they notice something is wrong up here? After about another 15 minutes down here, I walk back up to the floor above again, and pass the person in the stairwell again. I walk around the floor, taking survey of everyone up there... they are at the consoles again, mainly. Everyone with vacant looks... somehow trying to pretend the images they see on the screens interest them in some way. Things went on like this for a bit longer, more-or-less without major incident, just a stream of sameness. I think the dream felt like it lasted for 40 minutes in this narrative, and stayed pretty stable with it. It all sounds very grim, but that isn't really how I experienced it. I sort of experienced it all in a very detached way, indifferent to a sense of danger. I knew that I ought to act a certain way... but it wasn't really out of fear, so much as just... "Ok, this is how things are here. I will behave accordingly here." The experience I had more than anything was a state of questioning... trying to piece together what the rules of this world were, and how to pursue my own interests by disguising them with convincing enough-cover acts. Hurrah - you've started a dream journal! That's a fascinating dream - your attention to detail and dream awareness is of very high quality. Do you interpret your dreams, or just 'let them be'? I'm curious to what you think this one might mean (if you do indeed try to make sense of them). And if you don't mind repeating yourself (as I'm sure you've posted this elsewhere/before), what is your technique for the process of transforming an LD to a projection? Do you actively DO something or is it simply a mindset? Curious. Yeah this one was particularly noteworthy. Normally the ones I can recall well happen right before I wake up. This is partially because your last of 3-4 sleep cycles at the end of sleep is much longer, and your mind is much more rested; the dreams you may have here can stretch out pretty long, especially if you oversleep by a bit. If I just awake from a long dream late in the sleep cycle, this is generally where I can extract these long and detailed accounts from. I am sort of half and half. I think some dreams may potentially tell us some things about our own psychology, and others may be more chance constructions. With this one in particular, I didn't really get the sense that there was a lot of psychological content (beyond what they normally have), so didn't really reach hard in trying to analyze it. Probably the most noteworthy thing about dreams for me (and why I make effort to recall and record the more involved ones) is that you can sort of step into a new set of circumstances and have new emotional experiences that you don't have the context to experience in your normal life. For instance, I will never have a twin in this life. But I could in a dream, and then I immediately have a context for having access to the sort of mental experiences you might have only in that situation. Making a record of these dreams is sort of like making a record of all of these super novel experiences that it is useful to be able to recall in the future. I don't mind at all, especially considering where we are, hehe. So when I was younger, I very much turned my nose when people spoke about "affirmations". I sort of lumped it in as an extract of "New Age" culture and thinking which was sort of made up and not worth the time, and which everyone was repeating like parrots. I think there is a strong basis of value though behind the idea. If we remind ourselves often that we are focused on a specific goal, our entire consciousness seems to shift more into being in line with valuing it and realizing it. It isn't the saying of it, so much as the intending it. So that is sort of step one... being in a mindset where we are sincerely focused on achieving our goal, and will direct our energy toward that goal. I will often remind myself of this strongly as I am falling off to sleep... I believe this helps to align the subconscious mind with our intention; we are the same consciousness in a dream state as we are when we are waking, afterall. So we find ourself in a dreamstate now, and we have this burning idea in the back of our head about remembering our goal. If we are lucid enough (as in one of those long sleeping-in sort of dreams I mentioned earlier) the idea will pop into our head again, as it does during the day. But now we suddenly have the idea in the dream state, and the crucial detail for recognizing it is in fact a dream state enters our mind. This is sort of where it goes one of two ways for me. I sometimes come to be in a roused state as a result of this realization, and the excitement of being in a situation that can lead to a projection experience can be enough to sort of wake me up, and I will find myself just talking to myself in my head with my eyes closed (which isn't that bad in itself, because then you can go through a projection routine in that state), or I might slip into a full-fledged projection if I maintain a detached-enough state of mental calm (I don't really differentiate between lucid dreams and projections, as I believe they are the same experience reached by different entry points). So the basis of the technique... is that it is sort of a non-technique. It consists of an overriding intention which visits our conscious mind often enough that it might enter our sleeping mind as well, and then maintaining a state of detachment necessary to slip smoothly into the projection environment. Pretty simple and unsophisticated! Thank you for the thorough explanation - great stuff! I am viewing, from a disembodied perspective, a version of the map of the United States (my home country). It sort of has some of the features of the actual one. I lived on the east coast for a good portion of my life, so the part that I am focused on is largely made up of east coast states, although they are curiously on the west coast of the map, in more or less the same order going up the coast. Notably though, there is a giant mountain in the top left labeled "Connecticut", lol. This feels natural and right. 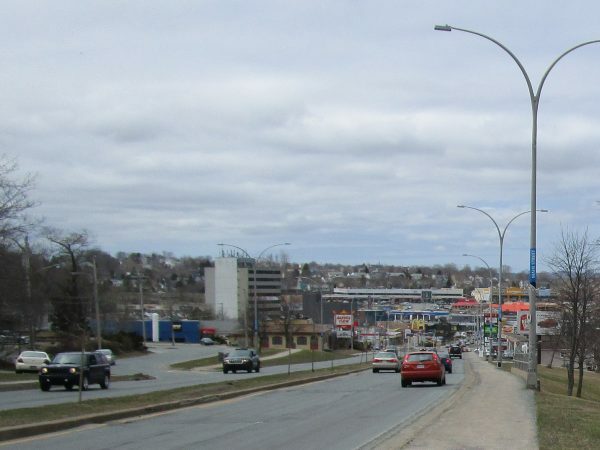 The major difference is that the junction is right beside the beach, and it is almost entirely absent of cars. I am about to walk off the road to the beach, when a policeman walks up to me; he says, "I think I'd shoot you dead, and drop you off the edge of this bridge... people like you...". I sort of look at him blankly, and say "...huh." I look off to the beach instead, and walk over there. I am walking on the beach for quite some time, when I see a mountain peaking out at the horizon. I reflect a bit, and say to myself, thinking of the map again... yeah, that must be Connecticut. I walk a bit more, and the mountain gets just a tiny bit closer. I run into an old friend at the beach... she is just hanging out enjoying some time off. We are very glad to see one another. I point to the mountain, and tell her that I think it is Connecticut. She says, "Really?" I tell her I think it is probably about 200 miles out, because mountains tend to look a lot closer than they actually are. I explain that I intend to get there though. I reason it will take about 6-7 days of walking if I keep a good pace (which I am actually capable of, in good conditions in real life... I have managed over 45 miles in single days before). We chat a bit more, and enjoy one another's company, and then I set out to reach Connecticut mountain. I walk off the beach a bit, now walking beside my father. We are walking through a city environment off the coast a bit. We walk a few blocks, and then I notice that I am barefoot. I must have left my shoes back at the beach with my friend. I reason that I will never make it barefoot, so I tell my father I have to go back for my shoes. He says something about not burdening women, or something like that which I consider quaint, and I don't place much stock in. I show up again at the beach, and there my shoes are again, waiting with my friend. I set off again, and go walking by a different route, this time through some overgrown dirt path. I run into my brother out there, and tell him about Connecticut mountain, and that I think it is around 200 miles off. He denies this, and says it is only 5 miles away. I tell him this can't be true, that he just can't be right about that. We don't agree about it, and I just continue on. A bit of time passes, and I walk into a sort of internet cafe place, with only a few computers. I stand at one in the back right, two from the wall. I have a short little vision where I see a person taking a certain disjointed-looking body position at my current console, in order to initiate a kind of trans-dimensional travel. After viewing this, I am standing at the computer console again, and take this same stance. I travel to another reality, and I am in the same cafe, but in another universe or something like that. My friend is there again. She is showing me some pictures of her travels on a computer. I view about 7-8 of them, and then I notice that I need to view a certain one of her pictures in order to travel back to my universe again. I do that, and travel back immediately. Then I take the same stance, and travel back to hers again. I think I am sort of getting a feel for how reliable this method of travel is. She is back to showing me the pictures. She asks me if I would like to flip through them myself, and I agree to do that. I start flipping through them again, and get very disconcerted, because I am not seeing the same pictures show up again, and I know that I need to view the particular one to return to my universe. I start giving her a comparison about the situation... I tell her how I am comfortable wandering around outside my home, as long as I recognize the road names. I will feel comfortable seeing a few new ones, as long as I am near roads that I know. The further away from roads I can name I get, the less comfortable I am (I am basically telling her to flip through the images again, because I am not comfortable being too far away from images that I recognize, and thus unable to return home via the travel method). She understands, and goes back to the part of the image set I recognize, and I travel back home to my universe. The rest of the dream takes place in some sort of cabin space, where I am inspecting items in my bag, thinking about whether I may have left something in the other universe, and what effects it may have on that universe. This one is a bit graphic, so feel perfectly free to pass on it. I include dreams like this for the sake of capturing the whole spectrum honestly. Pretty short and to the point. A woman and I are walking through a building. Our intention there is to blast through a certain spot on the ground with a cartoonish bomb. We arive at the spot... it is about a meter square, and made of a different material than the rest of the floor... a sort of softer-looking gray stone. She is about to place the little bomb (picture it as the classic blue orb with a fuse, and that is more or less right), when we spot one of the dogs that belongs to my sister. He is a beautiful Dalmatian, laying serenely on the ground near by. The woman tells me that we might as well get two for the price of one, and blow up the dog as well, since it was time to get rid of him. Strangely this felt like the exact right thing to do in the dream (it goes without saying this is not a choice I could get behind in the waking state), so I nodded approval. She set the bomb, and it went off, and didn't even dent the spot in the floor, but it blew the dog clean in half... part of his spine and some intestines trailing behind him as he crawled across the floor in agony. We were both horrified at the result, and quickly set several more bombs. Each new bomb blew chunks off of him, but he wasn't killed until the 6th or 7th bomb went off beside him. The abject shock and horror of this sequence of events woke me from sleep immediately, and I was quite shaken for a couple minutes after waking. I am walking down the corridor of a large multiuse-type building, like you might see at a state fairground in the US. The building itself is very drab and utilitarian, and the floor is paved in concrete in all spaces. The hallway is bounded on one side by a colonade of large, regular columns opening into a larger space, and a series of doors and recesses on the other side of the wall. We are searching for a restroom, because we have been driving for quite a while. Someone finds one at the end of the hall, but it is single-person use, and looks not so pleasant. I go off on my own to look for another restroom, and find one at the other side of the hall; it is a large room filled with machines with pay slots, with no one using them. I decide this isn't for me either, and continue walking. I watch a person enter another door, and decide that this must be where the good restroom is. I follow him in, and after a small antechamber, we enter this industrial looking room, that is completely round. It is about 50 meters in diameter, and is open at the other side to a row of columns, like the hall was. In the middle is a smaller cicular section divided in two by a passge through the middle; since this is aligned with the door, it seems like the natural place to walk. I get 3/4 of the way to the passage through the middle section of the room, when I see something pretty horrifying... it is a bull with its skin flayed partially off, charging in circles around the outer perimeter of the room, looking for people to charge. It feels like this room is purposefully built to avoid the charging bull, since you can position yourself behind one of the middle sections as he is moving around the room. Myself and the other people in the room do this now, and dash to the middle passage as the bull is rounding the other side of the room, but then find it aligned with the passage again, and then about to charge through the middle passge. We then scramble around to the other side of the middle section, and continue back and forth in this way to evade the bull. This is exhausting, and it continues on like this for quite some time. I seem to pass out from the mounting fatigue of that situation, and wake in a new sequence, in a bed watching television with some friends, and then sort of fade out from there. Thanks for sharing these Stillwater, graphic as they are I can relate as I have had some similar. I like your graphics, it really helps visualize what you are saying. Yeah two in a row like that, lol... normally they are a lot milder... not sure where those came from. #6 -I agree with Nameless in that I can recall something strangely similar. The graphics do indeed help; wish I could do that. 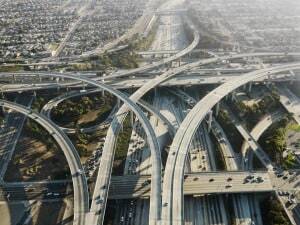 The '10,000 foot view' of the highway system reminds me of what Kurt describes as an overview of the transit system to the various areas of the Astral/Mental Realms (or whatever anyone prefers to refer to them as). Then you are on a beach which can be thought of as an intermediary/boundary layer/transitional area. You are not sure how you might 'transit' the distance, hence the issue with 'footwear' and how long the journey may take. What does the ocean represent? The 'distance' or possibly the unfathomable distance of your subconscious? Why do you feel a need to get to the mountain? What is the meaning of Connecticut? Is it that straight-forward a pun? Connect-icut? What will reaching that mountain connect you to? Either way, this is a great experience that gives me insight into alternatives to my own understanding. Thanks for sharing these! Yeah that is a little program called "Sketchup", that is pretty simple to use for fast 3D modeling. I use it and a few other CAD-type programs for work, so I had it handy to draw up some references. You could definitely learn to use it quickly, it is pretty intuitive, and by far the easiest of the bunch to use. You know, thinking back to the highway idea, it really did feel like a crossroads type concept... like everything was all converging to one node. I had extremely positive feelings about the beach. The sun was bright, but not scorching. There was a wonderful breeze... everyone there was enjoying their existence, and in good spirits. I never touched the water really, but it felt... like being on the edge of the infinite for sure... like an endless mother. It could well be seen in that metaphorical light... like we were all minds wandering on the very edge of individuality and total unity... existing as separate beings, but without any barrier to total connection. I don't think the word "Connecticut" had any meaning really, beyond something I just recognized. We don't really pronounce it how it looks like it would be spoken in this country... we say "Kah-neh-tih-kut"; most of us forget it is even spelled the way it is, so it is really just a word in this case I think. Reaching the mountain... that reminds me of an experience I had as a kid. I was walking down the beach with two friends very late at night... maybe midnight. Far in the distance, the green and red of the hotel lights was faint and muddy, sort of blooming in the wet air, and bleeding into the water... it was like a distant seductive dream of fantastic place that we could reach if only we walked far enough. And of course, though we walked for hours, the horizon gets no closer, and we turn back (for how else could that story end). I think even as an adult, when I see something like that, I see more than the place those lights really are... some mundane place like any other... I see some fleeting promise of something profound, that I could reach, if only I walked far enough. I am leaving my dormitory at my old university, and I find my way quickly to a path. There is a positive energy all around that is infectious, and also a driving sense of purpose. Everyone has somewhere to be today, and it is the same place. We are all getting there by different means, but by the same path. The image above is a shot near that road I am traveling in the same university, and has more or less all of the same features. Just imagine a wider road, that is winding, and draped with trees, and you've got it. There are hundreds of people now. People unknown to me, and people I know intimately. People pass on bike and by car as I continue to run. We will be there soon, and we will all meet and gather. A car rolls by, at a slower pace, and someone leans out the window, waving me on- it is a friend. I jump into the rolling car, and it continues on at the same pace, driving off the side of the road. We will be there soon, just another half mile. I feel the wind and light enter me like a life force. The energy is building, almost there, have to keep moving. We will all be there together in a moment. The car stops at the side of the road, dead in its path, and we walk out to the quad. It is this exact place. The public court extends for another 70 yards behind the vantage in that shot, the building in view commands the space. It is very significant in my life. The entire area here is filled with a throng of people, with the same anxious energy. Most of them here are very well-dressed, like they came to a public ceremony or a church service. We are walking toward the building now, as we enter the throng of people. Off to the left, suddenly a group of people scream hysterically, as though they had seen something abysmal. We walk over to see what the commotion is, and it is all directed at a cart, with a big placard on it, detailing a happening: a certain student was found dead in her apartment last night, causes unknown. This is not the reason why everyone is gathered here, but rather a shock to everyone. Et in Arcadia Ego, I guess. We walk up the steps into the building, and it isn't how we normally find it. The furniture is arranged differently, to accomodate the movements of a multitude of people today. It isn't long before we are walking through the lobby, and suddenly reality dissolves into solid light, and things fade out moments later. How interesting - I'm not surprised my dream reminded you of yours, there are strange similarities in them both. The main thing I love about reading your dreams is your attention to feeling. The way you describe the energy. There is little dialogue in your dreams - and I believe that's something I need to work on in mine. You seem to pick up on subtleties that I'm sure I miss by being so loud-mouthed and having a 'noisy' aura if you know what I mean. I get a sense of calm when reading your dreams (apart from the dog/bull ones - they were striking by nature of the violence involved). Have you had any further thoughts on those particular ones? (Just curious). The one with the bull is easier for me to understand. I take the well-being of animals very seriously- clearly much more than society at large does. I am very troubled by the magnitude of horrors human culture inflicts on animals, in a very non-subtle way. I think the information point I left out that would be helpful for better understanding that one is that when I saw the scene, I immediately held the people working in the building responsible for harming the bull in that way. I felt like I walked into a peril that the wickedness of others authored. The one with the dog was fairly different, but also similar. It was immediately clear we had failed him, and even then, he didn't lash out at us. He didn't hold us responsible, as I immediately did the people who harmed the bull. I am on some sort of trip, looking for my hotel room. An old friend from when I was a kid is there. He is known primarily for being large-figured and very athletic. We haven't spoken for a while though, so it is sort of an awkward meeting. I never really find the hotel room, and I end up just walking back to the lobby. I am walking through a mixture of an airport, a market and a shopping mall, to find my grandparents. It feels like they are supposed to pick me up after a trip. I run into them, and they are busy complaining with one another about something or other. I suggest that we stop and get mall pretzels (I would do this irl too, lol), but they tell me there is no time, because they have to meet someone back home. I can't think of who this would be, but we continue on walking through the airport / market / shopping mall combo. that scene sort of fades out, and then I am with a group of girls I knew in high school again. The three of us have the reputation for being over-achievers, which was true irl as well. We are sitting at a table eating a meal, but mostly talking. I don't remember much of what was said, but it wasn't much more than banter probably. We walk to class, but there is a group of people blocking the door, doing some sort of street-dance display. They give off a very confrontational air, and we let them complete their street dance. They don't look as though they are going to let us pass, but when they see more people gathered there, they let us go by. It seems like the thing they valued was force, and more people represented more force. We walk inside, and it is my high school biology teacher teaching a class. I have to give some context here, because this guy was sort of a larger-than-life figure back at high school. He always looked angry, and had pointy spears for eyes. If they settled on someone, that person was assaulted by them. Very few people ever took a class with him, but everyone knew him merely by the power his stare projected. I actually liked him a lot of ways... I liked most of my teachers really. He had an incredible wit, and it was often employed at berating people in clever ways. I think his general attitude about the students is that no one told them the truth about anything, so he was going to be the guy. I remember one incident where the entire class failed a test, and he stood at the head of the classroom listing every question greater than 40% of the class missed. He then waxed theatrical, and started shouting about how nothing on the test was outside the text book. He pointed to a banner at the back of the room, and said that ought to take that one down, and replace it with one that said "The Starship Enterprise", because this room was going to strange and unknown places everyday, judging by the students' test scores. So this is the guy I met in the dream. 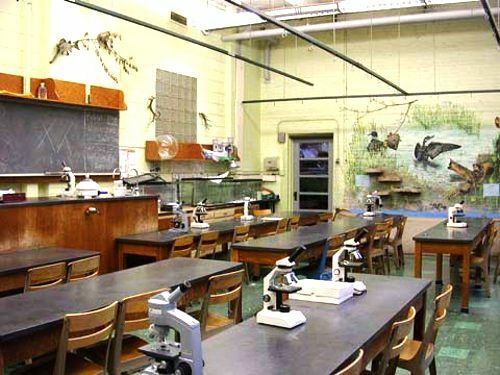 We sit down at our desks, which are the long slate tables of a science classroom, about 8 people to a table. I sit in the back, which is the opposite of reality, since I always sat in the front row to avoid eyestrain. We are flipping through a magazine, and I see a page that looks like a yearbook page, with a grid of photos. In the bottom right is the friend from earlier in the dream. Suddenly I look up at the door and he walks in. He tells me he has a problem with his computer, and he needs me to fix it before he leaves on his big important official trip called something like the "Aflax", or something like that. I tell him I can get to it later in the day, and then he sits down next to me, even though it isn't his class. I wonder if this is going to cause us trouble. On my right are the two girls from earlier (who would also be sitting in the front row normally, so this is sort of a funny situation). We are the three best students in the class without contest. The teacher hands out a piece of paper with a little exercise... It is 40 basic questions, mostly arithmetic. I am sort of puzzled about why we would be doing an exercise like this. Toward the end, there are about 15 questions about molecular structures. He collects them all shortly afterward, and then singles out we three to tell the class that we all missed number 34, and we should be ashamed. This is the sort of mistake adults are not allowed to make, and it points at a huge character flaw that will stop us from getting anywhere later in life. The answer was connected to the fact that the molecule in the diagram had a hidden hydrogen atom out of view, that we should have nonetheless known about because it was implicit in the instability of the molecule without it. He takes this opportunity to continue putting us down. He didn't normally get many chances with us, but I think he wanted to be sure that no one could escape his criticism. He mentions we were also speaking when we shouldn't be (which was puzzling, because every one was in that moment, lol). I feel both that his criticisms were a bit exaggerated, but also that they may potentially be accurate in some sense, so I feel a bit embarrassed by it. He starts talking about me in particular, and tells me he has a job for people like me. Moments later I am there. I am at the top of a high rise building in a city. I am in some sort of mechanical room space, with a bunch of other people (but I don't belong to their group, they are apart from me). I get the feeling some sort of heist is going down. They tell me to go to the elevator, if I want to leave. I get the impression they are rigging this room with explosives. I go to the elevator, and I see that it is a very tall building, with 88 levels. I am looking through the list to see which button is for the lobby level. I figure that must be level 4, since the three levels below it have a marking that seems to indicate they are a basement. I really hope I am right about that, since it feels like there will not be time to make a mistake. As the elevator starts moving, I lay on the bottom of the elevator , and put my hands under my head, looking upward, to minimize injury in case the car falls or jolts. This is actually the thing to do in reality as well, but no one is ever likely to need to do that, lol. The floor meter reads that the trip will take a minute thirty, and this feels like too long, but it goes by pretty quickly. The car starts braking quickly, and comes to very abrupt stop, like it felt the tension as well. The doors open directly to the outside of the building somehow. I am about 6 feet above street level, in a night-time Italian city street. 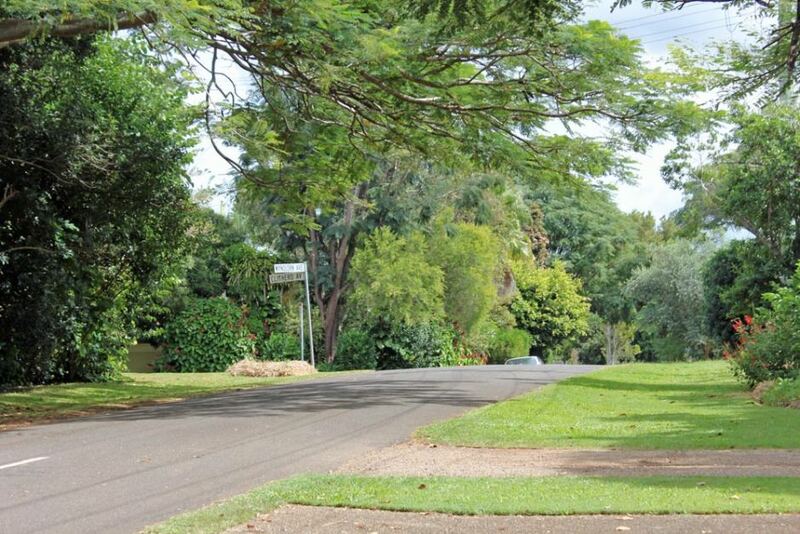 I jump down the small distance into a grassy berm, and then start running down the street. It is a bit strange, because there really aren't buildings of this scale in Italy, but I don't question it. Things fade a bit shortly thereafter and I am in another city, in another time and place. It feels like we are traversing an empty city decades after a societal collapse. The city is now infested with some sort of small monkeys that look like gibbons, about 3 feet tall. I am with a group of people being led by a certain woman. She explains to us that we can't have any weapons. She has some sort of special skill that involves lowering down draw bridges built into the environment in order to pass through areas, and then to seal them back up again. She needs our help though, to help provide the force of extending the draw bridges. We have to get to a certain building, because another person left money in their bank account there decades ago, and it must be destroyed. It isn't clear why this is exactly, but I am part of this group now, and it isn't safe to leave it. We continue on traversing the city using the scaffolds and draw-bridge system that keeps us out of danger, and get to the location. The bank account is a slab of stone in the middle of a certain room. We smash it to bits and move on. After about another 15 minutes of traveling on like this, we have to exit the scaffolds and go to street level. This feels dangerous immediately, but she tells us again we can't have any kind of weapons. We climb into a building that sort of feels like a combination between an urban library and a conference center, that has intricate wooden millwork detailing that resembles something from the 1870s (but in the lower levels of a very tall building). Very shortly after it all breaks down, and a horde of the gibbon monkeys crawl out of every corner and nook, and descend on us. I am cornered in part of a room, when the rest of the group leaves. I find a metal flagpole with two telescoping parts, and pick up one of them to use as a bludgeon. I swing it in the air several times, and the monkeys scatter from the room. I walk out to a window ledge (it is on the second story, about 20 feet above the ground), which is geometrically very complex. I judge it is too high to jump from, and I see the group leaving down the street, as I try to think of a way to get to them. I look down the other side of the street, and it is a massive dragon! I am totally taken aback by this, and it is not at all what I expected to be there. It is now walking toward them down the street, and it is clear it will expel them away, and I am being left behind. The leader shouts out to me to throw the flagpole segment down to the street, and not to use it as a weapon. I begrudgingly do this. I go back inside the building, and although the room is clear, I peer into the other adjacent rooms, and they are crawling with the monkeys now, which are moving in on this room. I feel like I am between a rock and a hard place, since I can't exit to the street due to the dragon, and I can't stay here, because the monkeys will descend on me. I wake up shortly thereafter. Do you find with an adventurous night such as this, you feel tired the next day? How about lucidity? There were plenty of triggers throughout the night, and to top it all a massive dragon! Yeah I think this is the first case of seeing a dragon in a dream for me, lol. In this case, although the scenes were VERY vivid and detailed, and all of them had complex narratives that made some measure of sense, not much lucidity. For whatever reason, I didn't do a dream test like I normally may have. Probably the best chance to get into a lucid dream state would have been right at the end after I woke up. If I had imagined myself back in that terrifying situation with the dragon and the monkeys again, there was a good chance I could have gone back lucid / with a projection-like awareness. I think when I woke up though, I was going through the routine of going over all of those events over and over, to make sure I captured the full narrative of it all. There were so many scenes and they were so complex, it seemed like a good goal was to simply remember it all at that point, lol. I don't think I was too plussed by the notion of going back to being trapped with no way out, but maybe that is me just not being adventurous enough lol. This is another rich one with a lot of dialogue. I am waiting for the school bus for a bit, in a suburban neighborhood like the one I grew up in. I am my present age (30-ish). It comes in a moment, and I climb aboard. I sit about 1/3 the way in, but facing the wrong way, looking toward the back of the bus. Some more students get on the bus, and they project sort of a confrontational attitude. It feels like I am going to possibly be attacked... I am thinking about the best way to position myself in the aisle in order to fight defensively if I need to. But a fight never happens. I walk off the bus at the end of the trip (school), and step off into a small crater made where the pavement has chipped away. I walk to the other side of the bus, and collect some fragments of pavement that seem to fit the broken area perfectly, and place them in the hole, as if to mend it. Other people look on, with the general attitude that it was a fool's errand, lol. I walk to class, and it turns out I am in elementary school again. The teacher is about my age, which is sort of funny. I sit down at a desk for a few minutes, as the students come in. Most them them are around 8-9 years old, with a few older students / people. Maybe a few students are 15 or so. The room is arranged sort of haphazardly. The middle of the room is empty, and most of the desks are moved to two sides of the room, toward one of the corners. There are some people sitting on bench-like ledge, and some others sitting on the floor. Class is starting, and the teacher immediately looks at me sternly and says, "You can't sit there." I sort of turn my head, puzzled, and then walk off to sit on the ledge. She repeats the statement, "No, not there. You can't sit there." I sit on the ground now, with some other students. "No, not there either. Sit here (she indicates a desk right to the left of her desk)." I sit down at that particular desk she chose for me, and then she puts on a slideshow. The first slide shows a grid of 4 cases relating to 4 possible combinations of two red and yellow balls, but it is only on the screen for 2 seconds, not enough time for me to scan it and learn the rule (but everyone else seems to get it well enough). Then she starts showing slides of different instances of those possible cases, or short movies. She asks which particular type each of the instances belongs to, and goes through 8 or 9 of them. Then the last one she asks me about (it is clear she doesn't think particularly much of me), but despite not really having seen the chart, I reasoned out what the 4 instances were from the previous responses the others gave, and then correctly answered the question. She sort of gives the impression I must have cheated somehow, but then drops it, and class ends. The scene fades out. I am now walking with some friends, who are now late high-school age. I am again my present age (which I almost always am in dreams). Walking with these others is strangely satisfying, like it cancels out any negative aspects the scene might have to just be with this small group of friends. A school bus whizzes by without any indication it might have stopped, and one of them asks if that was mine. I say it was, but we continue on unabated. We walk to school again, but it is a different place this time. Things get a tiny bit fuzzy, and the scene changes slightly. I am now walking through a retail store later in the night. A friend is working in the back of the store stocking items, and calls out to me to join her. I walk toward her to meet her, but some frumpy lady who must be an assistant manager calls out something like, "You can't be back there with her"; but I don't really hear her clearly, so I walk toward the assistant manager calmly to see what was said. She repeats the thing, but I shake my head again to indicate I can't hear it well. I finally get to her, and she explains again that no one can be back there with her. My friend walks over, and I guess it is the end of her shift, so she joins me to walk out. The scene sort of feels like walking out of the part of an American shopping mall where an anchor store like Macy's transitions into the hall of smaller outlets. She pulls out something like a Gameboy, and shows me something on it, saying, "Hey, have you seen 'Legman' ? " It looks something like a primitive version of the NES classic "Legend of Zelda" from the mid 80's. I tell her, "Yeah I have seen Legman. Everyone knows Legman." The scene ends a bit after that. The next scene, I am with some coworker-type people, with one dude in particular. We are walking out of work. It isn't clear what work was, but the mood is light. It is late at night, and we are walking into a scene of American-style sprawl... for outsiders, a road lined with nothing but a random collection of chain restaurants, giant strip malls and shopping centers, government centers, etc, with no clear unifying feature or massing. I take on a very loose dialect, and launch into a long diatribe. "You know what the problem with this place is? It all happened too quick. Look at the Old World. It happened over the course of a few thousand years of society. They had time to refine things, and history tended to stick around. They built it in a human way... in a way that made sense, because they had to do it that way. This place? It happened too fast. There was nothing really here to speak about 200 years back, so all of this is that old or newer. They filled this whole damn place with rubbish because they could, and no one stopped them, and it is still here now. We have to walk through this heap everyday." "That's great an all, but what do you plan to do about it? ", he cut in with. "Man I don't freaking know. It's not a problem of the scale I can solve. But (misquoting Socrates in a vernacular way), the start of wisdom is knowing that you don't know what to do, or something like that, right?" "That's just perfect. All problems and no solutions." I shake my head, "Yeah, that is sort of how it goes I guess". It is sort of a complex feeling we both have about the scene. Like in one sense we acknowledge that it is a kind of featureless wasteland we are inhabiting... a sort of pitiful waste of potential. But we also feel strangely safe and at ease there. There are no real dangers. Nothing that unpredictable about it. It isn't the place we'd choose, but it is a place that would take us and keep us safe and well. We walk off into the sprawl for what feels like a good long while, and eventually it all dissolves. After I awake, I lay in bed a bit, trying to recreate the details of the scene with my friend working at the store, to jump back there again in a lucid state. It isn't to be though, because the two dogs start barking frantically to be let outside. It is 4 am, lol. It seems like every day they start earlier, to see how early they can push it, lol. After he finished his three numbers, people started making requests, now that he was singing Springsteen, haha. I suggested he sing "Thunder road". He just smiled, as if to say, "If you think about it, I gave a lot- that will do." I tend to take my more narritive experiences like this one to be metaphors. I suppose this one might have been the greater reality reminding that is has many faces, and shows up everywhere, because being in the presence of this multi-talented "teacher" was was very much like chatting with some great ascended master. He sort of radiated strength and understanding at the same time. Almost like the universe was saying... yeah, I remember when I was Springsteen... wanna see him again? I am back in the same biology class I was a few dreams back, with the same teacher. He is giving a lecture about molecular structures of ring-group molecules. The lecture is long but uneventful. At the end of the lecture, the teacher spontaneously decides to start singing. After not very long, everyone in the room was simply crying. We had been taken from our normal reality and transported to a very intense space of violent feeling by the song. After he was done, things just faded back in, like the spell was passing as abruptly as it came in. After that, he wheeled in a television on a cart, and put on a film. It was sort of like a 70's / 80's -era British comedy, set out in a big public garden. There were about 12 figures in the scene. After not so much time, the figures began to strip their clothing off at various moments, and make jokes about it. The class thought this was tremendously funny, as it wasn't what we expected to be shown. After not too much time of this, the class was just uncontrollably laughing, as we saw started to question what sort of film this was, and why the teacher had chosen to show it to us. I've missed reading your dreams. I wondered if 'Carry On' might be relevant in some way? The scene was somewhat similar in material to those films... but got to its goals much faster, lol. It was basically a Satyr play which didn't take itself seriously... and it seemed to fit in the same slot in the Dionysian festival (where each playwright would submit 3 Tragedies and a Satyr play to finish). I wonder if I was somehow recalling that structure for some reason, or if the order of events was merely an accident. I am walking down an alleyway in the historic district of contemporary Rome. 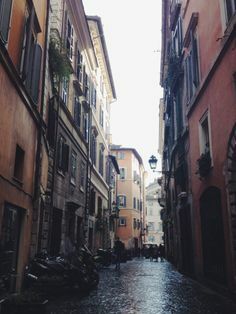 For those who may not know, most of the city is composed of alley-like streets, so alleys don't have a negative connotation there... just sort of a normal place. I am about to meet my university crowd there (the same one from the meeting dream a few dreams ago), but I have yet to meet up with anyone. I am walking toward a location we were supposed to gather for some sort of pre-assignment study... just sort of meandering through alleys. The buildings are tall, 5-6 stories, and sort of feel even more tower-like due to being in such a narrow space. They are painted in once-bright earth-tones, which have since faded from sun and weathering. Water damage sort of wicks up the bottom of the buildings in a band of wear... but somehow that is part of the charm of this place... an authenticity. Wires and metalwork bridge across the alley in places, with an occasional open shutter. The alley doesn't form a straight line, but rather juts out at odd angles, as the buildings are joined in a somewhat irregular, but solid edge. Navigating these types of streets is actually a pretty pleasant experience... you are sort of walking toward your destination, but you don't tend to take the same route everytime... you just sort of meander there organically, and see new sights every time. I am sort of at ease, as I am alone with myself in the calm setting, away from the dangerous cars (especially an issue in Italy) or crowds. The cobblestones are wet in places, suggesting a recent rain. There are very few people around, but I don't feel much anxiety over it. I eventually get to where I was going, but I look around, and don't really see anyone. I sort of walk about aimlessly in the general vicinity, and people gradually arrive. Eventually, a big mass of people arrive all at once, and the meeting happens. I don't really remember the meeting... I think I sort of faded out and back in toward the end of it. As we are leaving, I notice I don't have my shoes, oddly enough. I ask someone about it, and they point me back to a long row of shoes, about 50 pairs. I am not really sure why we all took our shoes off together in this place, but I don't question it. I find my shoes there among those others... except.... someone has pulled them apart! They are just bare soles with a little loop over the top of the foot left. Most of the components of the shoes are missing. I am puzzled, and I immediately conclude that someone else in the group did that. I go walking now barefoot, carrying the shoes in my hands, asking the others if they knew who messed with my shoes. No one answers in the positive, they just sort of look at me like I am crazy, and I walk on. And the rest of the dream goes by like this... just me asking person after person if they know what happened to my shoes, and no answers anywhere. Looking back, it is sort of funny how I assumed some other student pulled the shoes apart, and not some random homeless person as it would normally have actually been in real Rome, lol. This dream in some way feels like a cousin of the beach dream, where I also left my shoes behind, and also the other university-era dream, since the same folks were present at each dream. Nicely recounted dream. I have fairly regular shoe dreams and even go to a dream shoe shop every few months to get a new pair. This shop is the same one each time I go. I've pondered the meaning of shoes over the years, given my dreams, and one interpretation is that they represent beliefs. After all, shoes are used for walking in - the walk of life, or the journey through life. I promise I won't come along with my interpretations every time you post a dream!! That's ok, I love to hear what others think! I think I did feel noticeably different without the shoes lol, so maybe they did symbolize some change or other, who knows?